With the internet technology, starting a business has become ridiculously convenient. Gone were those days when people would scout for a physical location and put up a sign board. Now, all you need is a domain name, launch a website and you are good to go. But how exactly do you make money from a website? In this article, I’ll show you 7 legitimate ways of online monetization that are popular in most niches. Let’s see what they are. 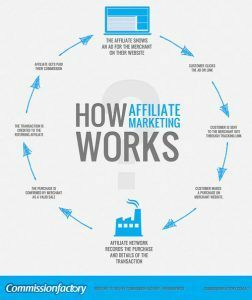 Affiliate marketing is a business model where you market a certain product online and earn a commission from the transacted sale. This is done through the tracking of affiliate links provided to you by the product merchant. In order to obtain the links, you need to apply and be approved for affiliate programs. These programs are commonly found within affiliate networks, online marketplaces or directly on the merchant’s site. Regardless of your niche, the key to a sustainable affiliate income is to partner with good merchants. A few criteria to look at is brand reputation, business resources and timely payment. Bonus incentives is also something that’s nice to have especially for boosting sales during a certain season. Product reviews play a big part in affiliate marketing because that’s the page that does the promotion – so to speak – and it’s where you actually convert readers to consumers through your affiliate links. For example, when searching for Canon cameras, I came across a fantastic review on a blog. Here, at the end of the article, the blogger pointed me to some online places where I can buy this particular model. If I clicked on Amazon, it will lead me the marketplace and when I buy that item, this blogger will earn 4% from Amazon as a result of my purchase. Advertisement clicks, as they call it, is a program that allows enterprise ads to be displayed automatically on your website so that when visitors click on them, you earn a small revenue (usually a few cents) from that action. Google Adsense is one example that runs this service. The type of ads very much depends on the context of information within your web content and the audience’s behavior. They can come in the form of text, video, images and interactive media. While you have minimal control of what type of ads are shown, you can determine their position placement on your site. 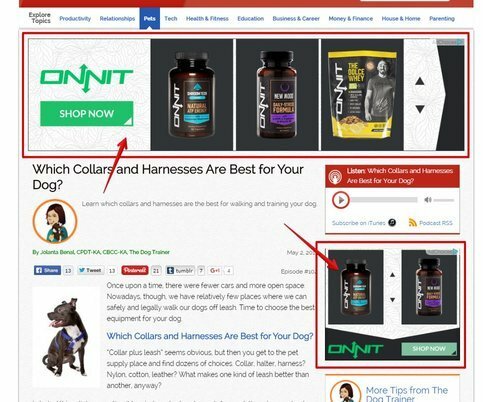 For example, while reading a blog about pet products recently, I came across Onnit ads. That’s because the day before, I was browsing through the supplement company’s site. Google remembers my behavior and show the ads again (retargeting) so that I would go back to the site again, hopefully to make a purchase. In this case, the pet product affiliate blogger didn’t choose to show the supplement company’s ad on his/her site. Google did. However, if I did revisit Onnit through those advertisements, s/he would earn a few cents from my click. Ever heard of iTunes and Google Store? They are the two giants when it comes to selling digital products, but they can’t possibly dominate every niche out there. So that’s where you come in with your own expertise and translate that into eBooks, PDF guides, music, software and so on. Most of the time, it’s better to offer your knowledge for free first to get some brand exposure and blogging is one of the best ways to achieve this. While waiting for your website traffic to grow, you can carefully plan the structure and content of your products. It’s also a good idea to revise them a couple of times – just to give it a quality check before launching. The selling value of your product very much depends on what kind of niche you are involved with and the level of competition that is out there. An online payment system like PayPal will charge some processing fees, but you’ll get to keep most of the profits. Here is an example of an eBook offered by Problogger, a popular website that teaches blogging and online business. Of course, besides selling eBooks, they also offer a whole lot of other resources that are free. The main point here is, if people find value in your information, chances are, they will invest in your digital products to get the most out of it. This is another common online monetization that we are all familiar with. You create a website and plug in an online store to showcase your products. When the customer makes a purchase, you’ll pack the product and ship them to the buyer’s location, whether it’s locally or globally. From shipping costs to customer service, product shipping can be a complicated process and it’s not something recommended for a one-man show (although there’s no harm challenging yourself). Apart from some legal restrictions, you can absolutely sell any kind of products online – from flowers to furniture, the list is endless. If you own a local store, one of the first few things that you may want to do is to list your business on Google. It’s a free service that is available in most countries. If you choose not to operate from a physical location, running an online store is fine too. 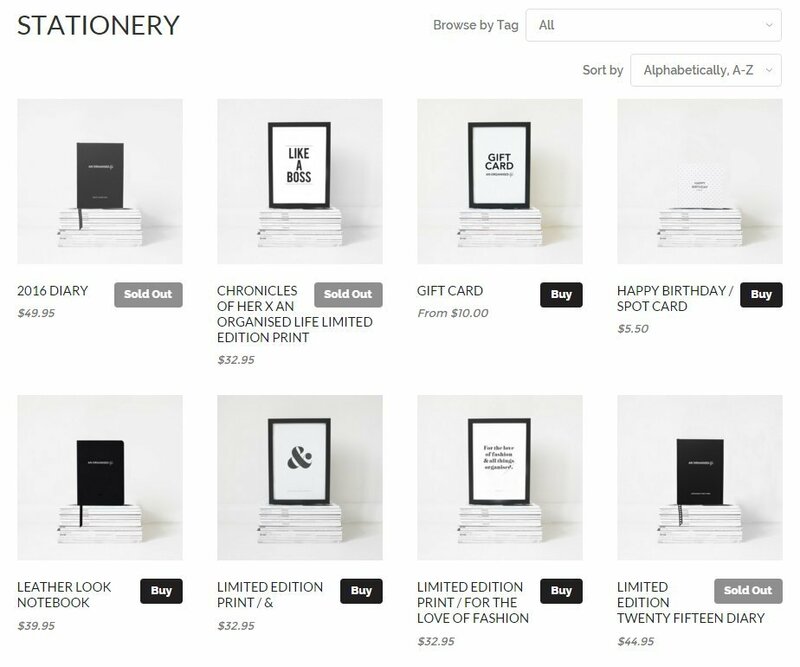 Here’s an example of a lifestyle blog that sells their own customized stationery online. This form of monetization basically puts your service on the virtual front. It gives an opportunity to show people what you are good at and ways to consult you. Unlike a job employment, you have the flexibility to charge according to the level of competency and the degree of competition in the market. So, if you think that you can deliver an outstanding job and don’t mind being transparent, it’s alright to inform customers how much your service is worth. The main part that you need to work on is to build a good portfolio and include testimonials from people that you’ve worked with in the past. This will create more reassurance and trust for potential customers to hire you. 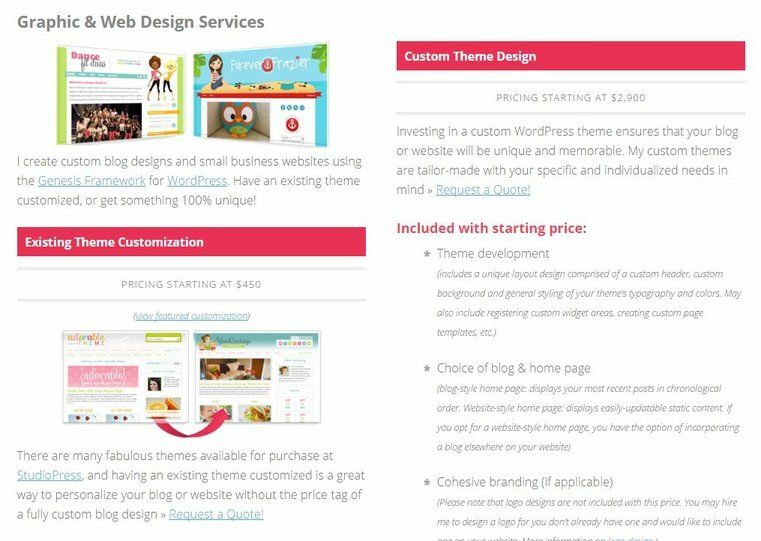 This is an example of a professional graphic website designer, promoting her service on a blog. She provides details on what is offered, the minimal service fee and things that she would do for additional charges. Looking at the portfolio, she’s clearly a pro in her own niche. Basically, with this method, you would plan a series of lessons and sell the course online. You can choose to publish it either on education sites like Udemy where they will earn a certain percentage of your sales or better yet, have it featured on your on your website to maximize profit. As a creator, you are in charge of structuring the course program and this usually involve several formats such as videos, text tutorial and assignments. Just like a professional service, you would set a price that best fits the value of your content and how much you would go all out to ensure that students achieve the course objectives. A lot of niches can benefit from the teaching business and it’s not just limited to classroom educators. 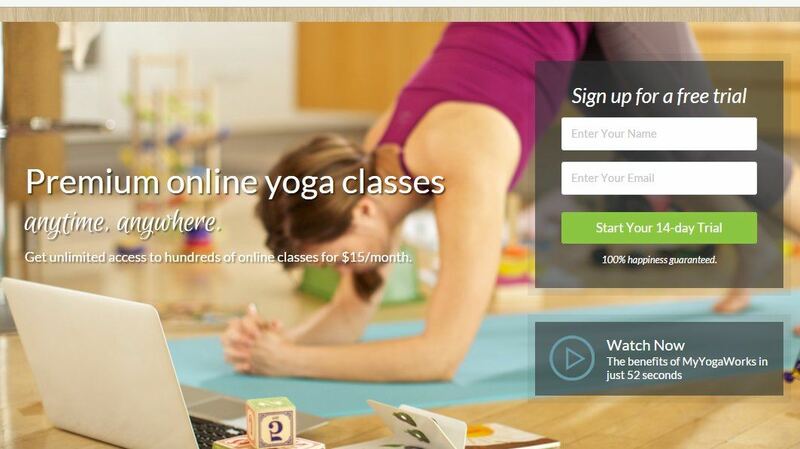 For example, this is a Yoga website that offers ‘Premium Yoga Classes’ online. Providing user flexibility and free trials are some of the encouraging features that will make people sign up for your course. People who love to share their knowledge and skills through online teaching. 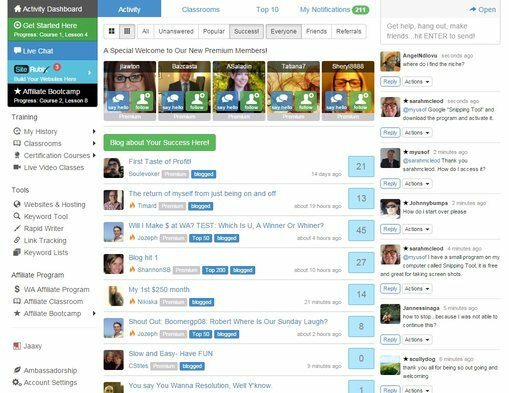 Businesses that can communicate and follow up with the student’s progress. Businesses that like to empower and motivate people with new ideas. Online training is a growing trend as more people learn to use the internet to acquire new skills. Any type of niche that has extensive resources can offer membership training. This is a profitable business because you usually sell more than the price of one product and you get committed audience that would keep coming back to do their learning over a certain period of time. Within the training, you can include downloadable notes, on-demand courses and even webinars to give members the flexibility to access the program whenever they want. However, it’s important to constantly add new features and content so that people have a good reason to renew their membership after it expires. Wealthy Affiliate University is a site that offers such training in the ‘online business niche’. Besides training, members can also get access to live chats, website support, Q&A forums and keyword research tool. A good integration of training and tools is one of the key success of growing an online membership business. How Do You Want to Monetize Your Website? So you see, there are many ways that you can make money from a website. If you are creative and resourceful enough, you can always combine several monetization methods to create a full-fledged online business. However, as a beginner, I would recommend that you stick with one first and then branch out as you gain more experience with web marketing. Do you need some help on how to start making money online? Check out my recommend training platform for more information.